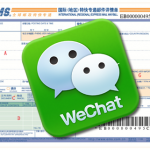 China Post Express Mail Service Bureau has expanded its Teradata (TDC) system to provide real time information management capabilities. With this technology expansion and upgrade, China Post now has launched its third-generation track-and-trace system for consumer mail and packages. According to a company statement, this is believed to be the first information system in China to achieve real-time data loading and query capacity with "active" or ADW technology, which moves the business beyond strategic analytics to optimize operational processes for improved cross-enterprise visibility and customer service. The new system at EMS now features real time monitoring and sophisticated operational notifications as well as detailed financial analysis and reporting. The expansion accommodates continuous growth at EMS as data volume and complexity increase. The new track-and-trace system now manages over eight million transactions per day with the number of daily queries increasing to about 1,300,000. At peak moments, the number can reach 140,000 queries per hour. Currently, express mail collection and delivery information is uploaded to the Internet within five minutes of the transaction. With a portable wireless terminal, the transaction can be uploaded in as few as three seconds, which greatly enhances query timeliness and better satisfies rising customer use. Before China Post selected Teradata to build its third-generation track-and-trace system, it had already deployed two previous platforms, but neither, used separately or in tandem, could support real-time track-and-trace capabilities at rising demand levels. Moreover, China Post now requires advanced statistical analysis of each mail delivery procedure in order to improve operations. The previous systems could not keep up with the increasing demands of real-time data updates and complex statistical analysis required by external and internal users. The limitations of using separate data platforms also resulted in frequent inconsistencies in information, which multiplied business problems.